Mifa wins the Dutch Nationale Business Succes Award. Mifa has been crowned the industry winner in the metal sector! Each year, the Dutch Nationale Business Instituut nominates the best companies in various sectors. Mifa specializes in fully-finished precision extrusion profiles, which opens up unprecedented opportunities to users. Precision extrusion gives designers a huge degree of freedom in their work and allows them to break free from the limitations imposed by standards. The industry winners will be presented this Saturday at 1:55 p.m. on the Dutch television programme De Succesfactor, broadcast on channel RTL7. 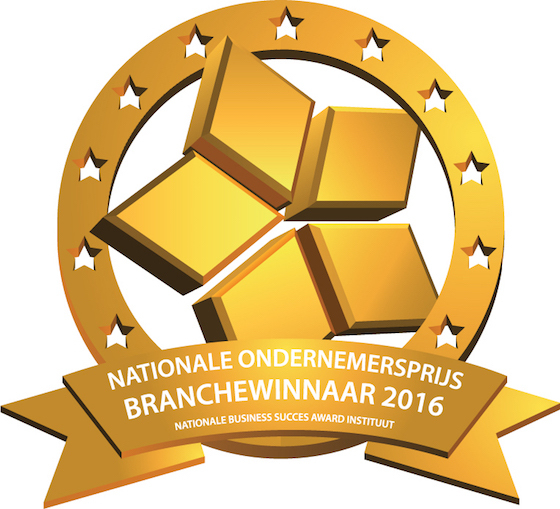 One winner will be selected from all industry nominees during the Nationale Business Succes Award ceremony. Members of the public can vote for their favourite company after the last nominee is submitted later this year.